Serves as the TRADOC Capabilities Manager (TCM) for all Army Tactical Wheeled Vehicles (TWV) and Army Watercraft Systems (AWS) modernization through the integration and synchronization of DOTMLPF-P requirements. In accordance with TR 71-12, TRADOC System Management, TCM-T is the capability developer for all TWV and AWS matters across the DOTMLPF-P areas pertaining to their assigned capability area and the single point of contact for users/Warfighters to provide feedback and issues for action. TCM-T represents CG, TRADOC and the Chief of Transportation (COT) on all issues concerning development, production, testing, evaluating, fielding, early operational life support, and sustainment for TWVs and AWS. Provides intensive and centralized capability management for all assigned DOTMLPF-P capabilities. Works in unison with materiel developers, testers, and Army staff to provide intensive and centralized capability management of assigned systems and coordinates system development, production, testing, and fielding milestones with the materiel developer (program manager) to ensure user requirements are met. 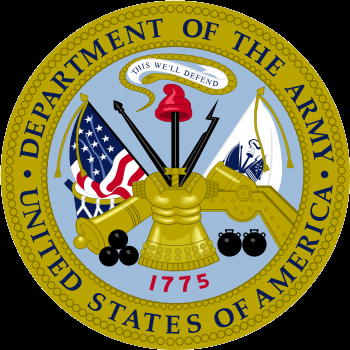 (1) Responsible for duties as outlined in TR 71-12, TRADOC Capability Management, and CG TRADOC assigned charter. (2) Participates and provides user guidance/feedback at system test and evaluation integrated product teams for all variants/systems. Participates and provides user guidance at system performance-based logistics integrated product teams. (3) Provides user guidance on testing, fielding, and issue resolution for system modernization to support the various fleets. (4) Ensures organizational, doctrinal, and training developments reflect capabilities of the various systems. (5) Develops watercraft required capabilities which drives AWS modernization and ensures the warfighter the ability to project forces worldwide. (6) Ensures that TWV requirements across the force are correctly stated, justified, and documented in concept papers and material requirements documents. (7) Army’s user representative in the overweight waiver process for TWV. (8) Ensures Army watercraft modernization efforts are synchronized with the Army Watercraft Master Plan, Army Watercraft Life Cycle Management Strategy and guidance from the AWS Board of Directors. (9) Supports new watercraft and system fieldings and is the link between the Soldier and the program office. (10) Works with the Product Director for AWS to ensure that the current fleet is maintained, sustained, and modernized IAW Army policies and doctrine to meet combatant command requirements.